"What's Farmland Worth? What's a Trademark Worth?" "What's Farmland Worth? What's A Trademark Worth?/ The Answer Is The Same--Tell Me What You're Gonna Do With It, And I'll Tell You What I Think It Could Be Worth?" "... So, if you're going to do something like what Mr. Green did with a trademark then, it's worth a lot, just like if you're going to use farmland to produce a branded retail food product that sells for a premium, in a business with healthy margins that has formidable barriers to competition and an exquisite local presence, then I would say that farmland's worth a lot too"
"So, what are you going to do with your farmland?" Thanks to Rich for a great post. This speaks directly to the high value of small, safe, professionally staffed food processing centers like the Wisconsin Innovation Kitchen. We are bringing new, branded food products to the market that capture and celebrate the opportunities for small food businesses and farms. The time is right. The opportunity is here. The 2013 Chicago Farmers 2013 Farmland Investment Fair, Feb. 2, 2013. Joliet, IL. Rich helps organize the Farmland Investment Fair. I'll be speaking again this year. Join us! "Makers. The New Industrial Revolution" - Buckle up for this ride! "In an age of custom fabricated, do-it-yourself product design and creation, the collective potential of a million garage tinkerers and enthusiasts is about to be unleashed upon the economy, driving a new age of American Manufacturing." This is from Chris Anderson, author of one of my all-time favorite books, The Long Tail, has written a great new one called Makers. The New Industrial Revolution. I highly recommend it. I love the manufacturing world. Our last business designed, built and sold products to heavy industries all over the world. It felt rewarding to see things we'd invented and manufactured helping to solve serious global problems. But manufacturing is tough. The first few of anything are expensive and usually not exactly right. Now the desktop revolution is coming to fabrication and it looks like one heck of a big opportunity for the world. Chris Anderson's 'Makers' compares our current desktop manufacturing to the early stages of the desktop publishing revolution. "Two decades after desktop publishing became a mainstream reality, the word desktop is being added to industrial machinery, with equally mind-blowing effect." If you think this might be some bleeding-edge, high-investment pursuit, think again. Popular Science Magazine recent issue featuring the top 100 Innovations of the year, cited the Makerbot Replicator as their choice for "Easiest 3-D Printing". Models start at $1,799. 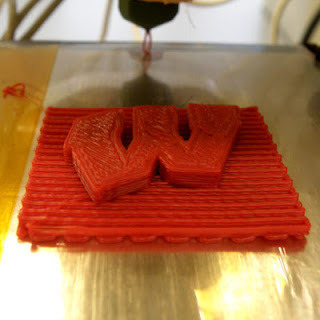 I took this photo of the intricately fabricated 'Motion W' as it was being made on a consumer-grade 3-D printer at the University of Wisconsin. I have this 'W' on my desk. Amazing. And when you tie all this to the new crowdfunding models, things look amazingly possible. Of course I see a parallel in all this to the small-batch food 'manufacturing' done at the Wisconsin Innovation Kitchen. Different stuff being made with different tools, but the same story. By providing increasing numbers of people with increasingly affordable access to increasingly valuable tools you're going to get positive outcomes. I love Martha's Pimento Cheese. My good pal Martha Davis Kipcak's emerging food empire, Mighty Fine Food, has just launched their new pimento cheese. I'm honored to say I was one of Martha's earliest taste testers and most enthusiastic supporters. "Combining local, handmade Wisconsin cheese with a classic Southern recipe, Martha’s Pimento Cheese takes your taste buds on a delicious cross-country trip. Handcrafted in small batches with premium ingredients, MPC is meant to comfort and nourish. Spread on a sandwich, serve as a dip, crown your best burger, tuck into farm fresh eggs, get to eating . . . . . . no directions required." From the Mighty Fine Food web site: "When life’s road led Martha Davis Kipcak North from her native Texas to Milwaukee, she fell in love with Wisconsin’s world-class cheese, but longed for a favorite Southern staple: pimento cheese. 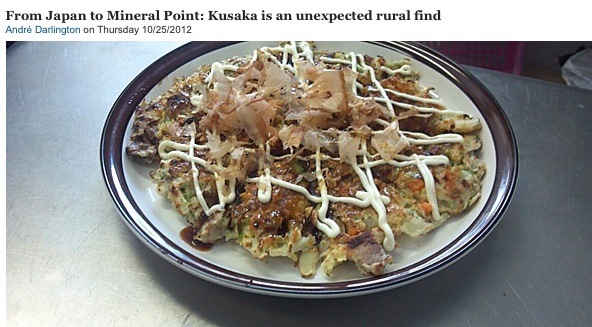 It was then that the Community Food Advocate and Chef decided to set out on a new culinary adventure. Mighty Fine Food was born with Martha’s Pimento Cheese leading the way, marrying the best of Southern foodway traditions with the best of Wisconsin’s finest contribution to American eating: great cheese." I really love Martha's story. I really love Martha's Pimento Cheese. We need more small scale, professionally managed food processing facilities and related business services. It's the missing link. This model make good community jobs and solves problems for small farms, consumers and communities. I see this issue every day. The Innovation Kitchen model - one that emphasizes small, professionally staffed food processing and business services - can take problems for food entrepreneurs and small farms and turn them into profitable, sustainable solutions. There's my food trend for 2013. Food entrepreneurs and small farms - start your engines! This new video was created by the University of Wisconsin Extension for a presentation at this year's Midwest Value Added Conference. Thanks to Greg Lawless for creating this video. 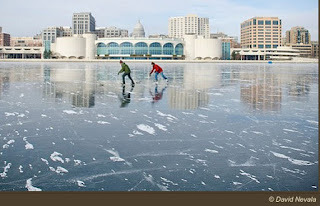 The 2012 Midwest Value Added Conference, La Crosse, Wisconsin. Dec. 12th and 13th, 2012. 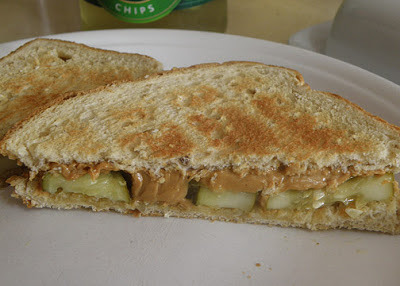 I just made my 34th micro loan to entrepreneurs on Kiva. 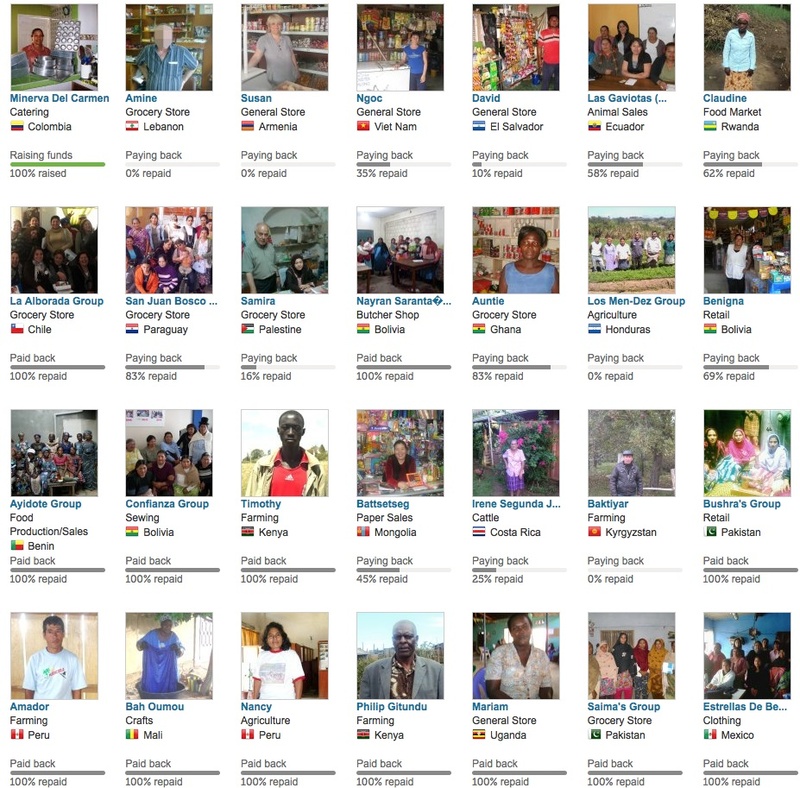 My small contributions are now working in 27 countries. 85.29% of my loans are directed to agriculture, food and related retail, in roughly equal balance. About 75 per cent of my loans go to women entrepreneurs. To date, my Kiva loans have a 100% repayment rate. Kiva is amazing. Thanks to all involved! Kiva. Loans that change lives. I am just thrilled to see so much support for entrepreneurship globally. What an amazing, positive turn the world is taking. Social entrepreneurship is soaring and new crowdfunding options are driving the entire movement at record speed. I love this stuff. 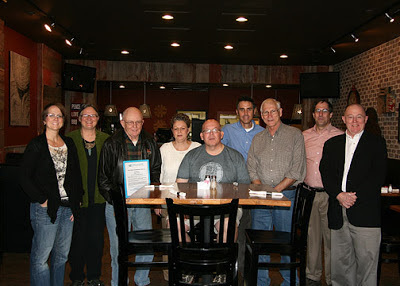 Congratulations 2012 Iowa County Wisconsin Entrepreneurs of the Year! Our Iowa County Area Economic Development Corporation (ICAEDC) is proud to announce it’s first group of local business leaders chosen as Iowa County Area Entrepreneurs of the Year. The awards are being presented in conjunction with Global Entrepreneurship Week, Nov. 12-18, 2012. This year’s award winners highlight both established and new businesses popping up all over Iowa County. This is an exciting time to be an entrepreneur, and Iowa County is a great place to grow new businesses. As the ICAEDC slogan says, “Iowa County, Wisconsin. Come Grow With Us. Rick Terrien, ICAEDC is on the far right. Congratulations to our 2012 Iowa County Wisconsin Entrepreneurs of the Year! This article appeared in today's Dodgeville Chronicle (11/8/12) but is not yet online. Photo credit - Barry Hottmann - Thanks! The Wisconsin Innovation Kitchen is a wonderful place. It creates jobs and opportunities for all kinds of people including those with disabilities. Today we celebrated their annual Foodservice Party. My contribution to the party is to choose and call out playing cards for a really cool bingo game that Foodservice Director and Mistress of the Universe Annette Pierce (top photo) conjured up. Playing this game with my all friends at the kitchen is wonderful. Adam and Mitch (middle photo) are always great to work with and have fun with - when the boss lets us. But I was not without my own surprises. An interview I did a couple of years ago at the opening of the kitchen quoted me as saying the new kitchen enterprise was "like a shiny spaceship landing in rural Wisconsin." Of course, my friends at the kitchen then presented me with a tin foil hat with antennae made from spoons and forks. 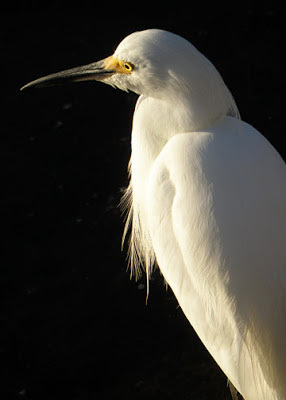 A really beautiful thing that I've hidden away - waiting for the right moment - ever since. Today I brought that beautiful hat out to wear during our card bingo games. Perhaps that photo may show up in a future post. Or not. A special thanks to Annette and her staff and the entire Hodan Center team for all you do to make this possible. Thanks to all my friends at the Wisconsin Innovation Kitchen for a great party! I really admire Andy Hatch and Uplands Cheese. Check out the great story below about the demand for Andy's work. Have you tried their Rush Creek Reserve? Yikes! And their amazing Pleasant Ridge Reserve has been named the nation’s top cheese by the American Cheese Society three years in a row - unprecedented professional recognition. I get to work with Andy in Iowa County, Wisconsin. Watching Andy combine family and business and music and those wonderful, wonderful cheeses is an honor. Uplands Cheese is owned by the Gingrich and Patenaude families. When I'm really lucky I get to share a venue in Iowa County where Mike and Carol Gingrich are sharing samples of their Pleasant Ridge Reserve. There is a lot of business wisdom from Andy in the article below. It's never a straight line no matter what kind of enterprise you're in. How you adapt, as Uplands Cheese did, is the difference between sustainable businesses and those that aren't. You'll see how the drought hit their operations and the temptation to stretch the brand beyond what made it so great. Andy and everyone at Uplands Cheese have created an amazing economic development story in Iowa County, Wisconsin. Great cheese. Great brand. Great business wisdom. Much-anticipated Rush Creek Reserve cheese hits store shelves early. "This year, Rush Creek Reserve lived up to its name." "The much-anticipated cheese was on store shelves ahead of schedule this fall, pleasing the eager fans of the seasonal release from Uplands Cheese Co. in Dodgeville while helping to take the sting off a tough year at the company’s farm." Thank you Uplands Cheese and Andy Hatch! Uplands Cheese Company, Dodgeville, WI. Point Five. The wonderful band Andy plays with. I love their music. - "Point Five is an Americana Acoustic Band from Mineral Point that really rocks! ", Americana Gazette Magazine. The most important topic in the world of economic development is how to initiate and integrate positive change across bigger regions. Our eight county Thrive region in South central Wisconsin has done some great work in developing this model. Paul Jadin has just joined Thrive as head of its new leadership team. Welcome Paul! The Thrive region is centered on Madison, Wisconsin, an amazing, globally relevant city with economic development possibilities baked in for decades to come. The counties that share boundaries with Madison all contribute to our bigger, better story about this strategically cool region. Our work in Iowa County area economic development has been a key driver in building a more cohesive regional Thrive network. The opportunities to expand these relationships are exciting. Welcome to Thrive Paul. I am looking forward to working with you. There was a great article in the Pittsburgh Post-Gazette this weekend about the difficulty food banks are having getting enough food to meet the need. The piece focused on problems in Southwest Pennsylvania, but it paints a picture that is universal among people working to support food programs across the U.S.
"Like the people they help, food pantries throughout southwestern Pennsylvania are struggling -- and in some cases, failing -- to make ends meet as skimpy federal food supplies, a tighter state budget, higher food prices and more needy clients strain resources." This scenario is taking place all over the country. We need new and better ways of helping this situation. 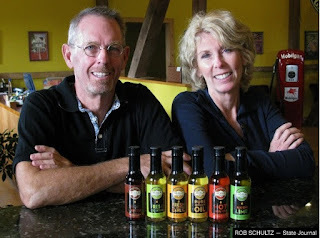 One idea I've seen work is the Wisconsin Innovation Kitchen, in rural southwest Wisconsin. 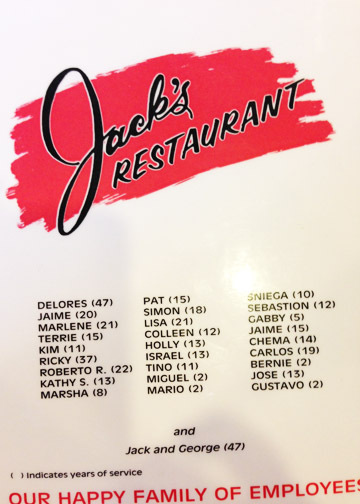 I've helped them launch their new model - a professionally staffed small-batch processing kitchen. This model also creates good jobs for people with disabilities. It also creates great new business opportunities for area farms. This model can also include processing local foods for food bank programs as well as for retail sale. A professionally staffed processing kitchen can make an immediate impact on a region in many ways: local jobs, support for local farms, increased food security, and great food. We have a very good food system in the U.S. and it's getting better every day. However, there is a big space in the market that is clearly not being served by existing business models. Such as in the picture above. Such as all the small farms in this region that could be so much more productive with access to professional food processing services. My goal has been to build a collaborative network of these kind of community focused facilities. This good article in the Pittsburgh Post-Gazette is another argument for this kind of collaboration. 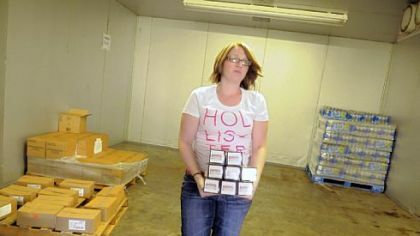 Photo of the Corner Cupboard Foodbank in Waynesburg, PA is copyright Pam Panchak/Pittsburgh Post-Gazette. Thank you. I think LinkedIn is a great business tool. It's an easy way to introduce folks I want to invite to join business projects. I just send out LinkedIn professional profiles to the people involved. I have been limiting my connections to people I've met or worked with. I'd also be glad to be introduced via LinkedIn to people with an interest in this blog. If you would like to be connected please send a note through LinkedIn. You can find my profile and connection link below. No matter what kind of enterprise you work with, this is a great way to professionally network. Thanks to the Illinois Farm Bureau for the opportunity to present our ideas about developing Innovation Kitchen style business development projects across the region. It was also really fun to catch up with many old friends and make so many new ones. I even got a chance to ask Dr. Merrigan from USDA a question about best practices for rolling out our new Iowa County poultry processing capacities. I learned a lot. Doing regional poultry work is going to be a great opportunity for everyone involved. In my presentation, I got to talk about how we built our last business around a successful collaboration among effective partners living and working in both Illinois and Wisconsin. This was a great visit back to my home state. I look forward to working with all these great friends going forward. Photo. Illinois' Metamora Courthouse. Abraham Lincoln practiced law here. 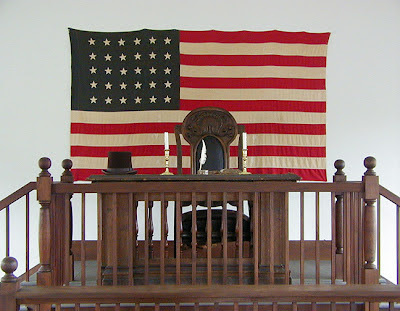 Metamora, IL is one of only two surviving courthouses on the historic Eighth Judicial Circuit traveled by Abraham Lincoln before his Presidency. I've really been looking forward to my talk next Monday at the Illinois Farm Bureau's Local Food Connections and Technical Summit. USDA Deputy Secretary Dr. Kathleen Merrigan is now joining this gathering to make a presentation. I just posted about the new small meat and poultry program USDA is initiating with the support of Dr. Merrigan. Our new plant in Iowa County will be among the leaders within this new opportunity. 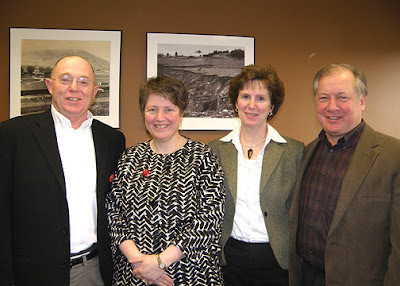 Dr. Merrigan has been supportive of many great initiatives to diversify our food systems. On Monday I'll be presenting results and possibilities that have risen from the development of the Wisconsin Innovation Kitchen. Looks like a wonderful group. It is a special honor to have Dr. Kathleen Merrigna joining us! 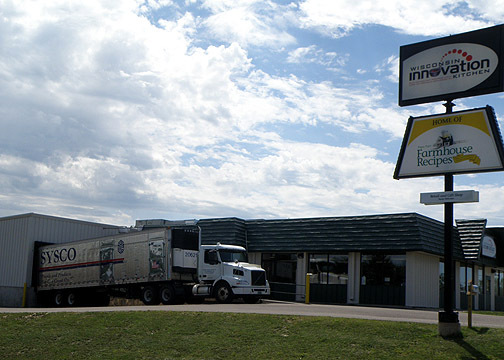 Welcome to our new small poultry and meat plant in Iowa County, Wisconsin! Also... New USDA program for small poultry and meat plants announced. 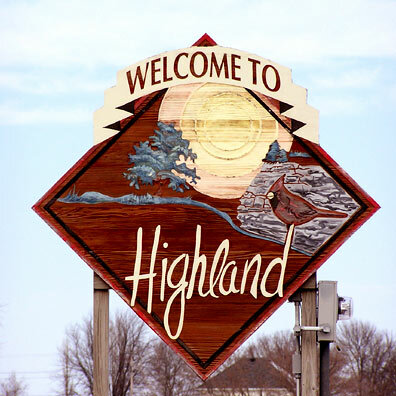 I can now start talking about the fact that we have a wonderful new small poultry and meat plant opening in Highland, in Iowa County Wisconsin. We've been working on this in the background almost since I started doing economic development work in Iowa County. This beautiful new plant is being designed to have a focus on poultry but also have the capacity to process rabbits and emu as well. This is a big deal for many reasons. Among them, the U.S. Department of Agriculture just created a great new pilot program for small, state-inspected poultry and meat processors to allow shipping their foods across state lines. 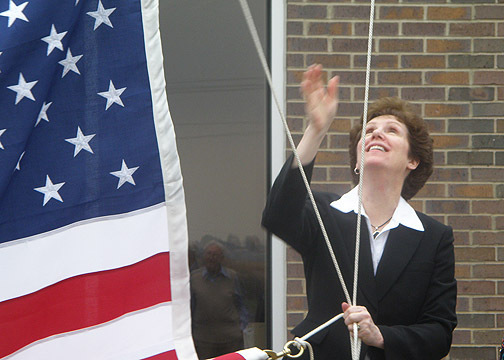 "WASHINGTON, August 9, 2012 – Agriculture Deputy Secretary Kathleen Merrigan announced today that Ohio will be the first state to participate in USDA's Cooperative Interstate Shipment Program. Under this program, Ohio's small, state-inspected meat processors will be able to ship their products across state lines. 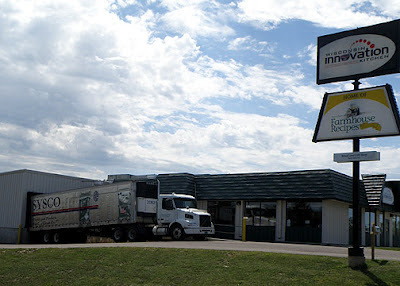 The cooperative interstate shipment program will expand economic opportunities for America's small meat and poultry processors, strengthen state and local economies, and increase consumer access to safe, locally-produced food." This is great news for local foods and regional food systems everywhere. Our new Iowa County USDA poultry and meat processing facility will begin opening this fall in Highland, Wisconsin. The plan is to open with a commercial kitchen and meat counter for private label processing and local retail sales. After that they will offer custom processing services for our region. Processing services will be available for chickens, turkeys, rabbits and emu at this beautiful new facility. I can't wait to help tie this cool new Iowa County poultry and meat news to our amazing story at the Wisconsin Innovation Kitchen. Perhaps the most important part to me personally is that I will now get to eat more home-made pie and delicious comfort food at Grandma's Restaurant in Highland, Wisconsin. The rest pales in comparison. There is so much good news emerging for smaller scale, safe, professional food processing services of all kinds. The new USDA program supporting small poultry and meat processors is great news for food economic development. Now is the time to build a collaborative network of these facilities. Iowa County, Wisconsin is an innovative and integral part of this national conversation. We had a wonderful day meeting Sysco customers and sales folks at the Sysco Baraboo local foods expo in Middleton yesterday. Thanks to Sysco and all the great new friends we made at the event. The Wisconsin Innovation Kitchen provides small-batch, professional food processing services. Food businesses of all sizes can benefit from this by having their own recipes made in our $1.5 million, 10,000 square food commercial kitchen. This is a great way to grow local food businesses. We really enjoyed the Sysco local foods expo. Thanks very much for the invitation. We look forward to serving the Sysco team and the food professionals they support in our region! I'm really looking forward to my next presentation. I've been invited by the Illinois Farm Bureau to talk about the Innovation Kitchens model and regional food systems at their upcoming Local Food Connections and Technical Summit later this month. This one is invitation-only. Attendees will include state and federal agencies, colleges and universities, nonprofits, councils, taskforces, farmer producer groups, government liaisons, economic development officers, and others. I plan to talk about food safety, our wonderfully diverse workforce at the Wisconsin Innovation Kitchen, optimizing facilities and equipment, food business challenges, and how local farmers can utilize our Innovation Kitchens business model to create jobs and new economic development opportunities for farm families. My focus will be on how to create and integrate this kind of community based food processing capacity across multiple states. This can improve the economic well-being of Illinois agriculture and enrich the quality of farm family life in Illinois and the region. What seems important to me about this opportunity is that our last business was an Illinois / Wisconsin collaboration. Our business model not only flourished, we won the United States Small Business New Product of the Year Award for 2005, presented by the National Society of Professional Engineers. The Illinois Farm Bureau presentation is in Bloomington, IL. We ran globally relevant green manufacturing and data management operations just 60 miles away in Streator, IL. At the same time we ran business development from Wisconsin. Together our enterprise served wonderful customers on 6 continents. The Innovation Kitchens model is another great opportunity to do an effective, important Illinois / Wisconsin collaboration. Thank you for the invitation, Illinois Farm Bureau. What a great opportunity to discuss new economic development opportunities for agriculture and our farm families. 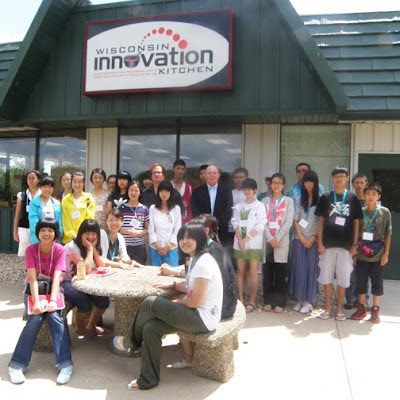 On Thursday of this past week we greatly enjoyed a visit by a group of young scholars from mainland China to the Wisconsin Innovation Kitchen (WINK). The group's visit was coordinated and made possible by The Environment & Public Health Network for Chinese Students and Scholars (ENCSS). I got to introduce Annette Pierce, our WINK Food Service Director and explain her critical role in food safety and how that makes our operations important. They gave her a generous round of applause. I also tried to explain to them about Annette's role as Mistress of the Universe, and that got another round of applause. We made 35 fun new friends from China on Thursday! Thank You NCESS for arranging this visit. 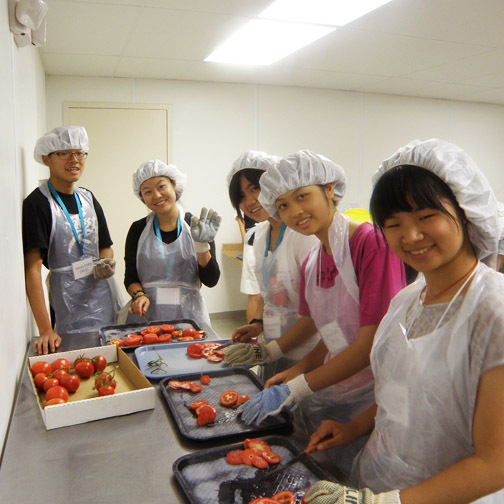 While there, the visiting students got to do some actual food processing. 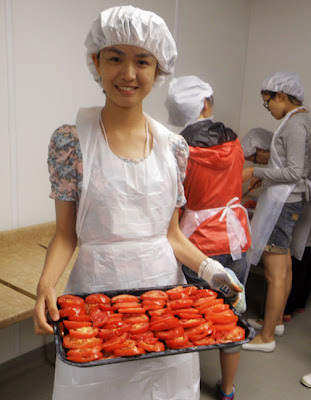 Annette and her team had the group slice tomatoes and prepare them to be dehydrated and packaged. It was great fun to be with the group while they worked and talked among themselves. Mandarin is such a beautiful language. Too bad I am limited to 'hello' and 'thank you' for now - but I will learn more soon! Annette and team made a great traditional American lunch for the group, with a special fancy chocolate based treat for dessert. After lunch we shared gifts with the students. The WINK team had prepared packages of dehydrated tomatoes with ENCSS on the label along with a welcome from the Wisconsin Innovation Kitchen. Annette truly is the Mistress of the Universe. Thank you Annette and team!! What a fun visit... Ni Hao! Hodan Center, The center supporting people with disabilities that owns and created the Wisconsin Innovation Kitchen. Previous post (March 23, 2012) post about ENCSS and this group visit. Lunch for the ENCSS students was sponsored by Alliant Energy. Thank you Alliant Energy! 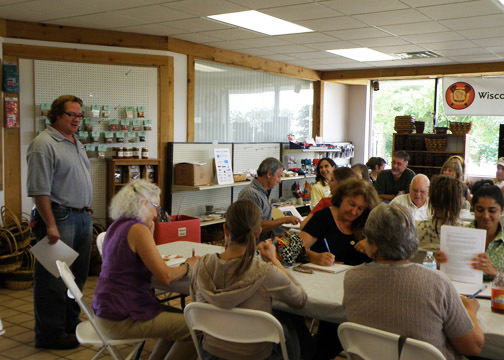 We had a great gathering of the Wisconsin Local Food Network (WLFN) at the Wisconsin Innovation Kitchen yesterday. It was an honor to introduce the great work Annette and her team are accomplishing at the Wisconsin Innovation Kitchen, and the support work our economic development organization, the Iowa County Area Economic Development Corp. (ICAEDC) provides for their work. This is an excellent partnership! Our ICAEDC Board Chair Dr. Lorin Toepper of Madison College is in the photo discussing economic development implications of the kitchen's work. What was also great fun is that we got to show off our new mobile poultry processing equipment for the first time. We now own a trailer and all the poultry processing equipment needed for area farms to rent the unit and do on-farm processing and sales of their chickens. 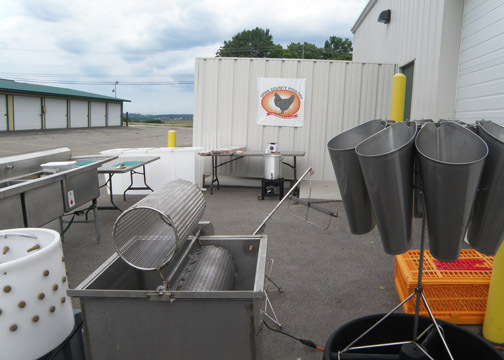 The entire poultry package was utilized last weekend on its inaugural processing run, and was a resounding success! Thanks to the WLFN for a great visit to the Wisconsin Innovation Kitchen!